A number of my photos and articles here have been about low light or night photography. I thought I would share one of my favorites. 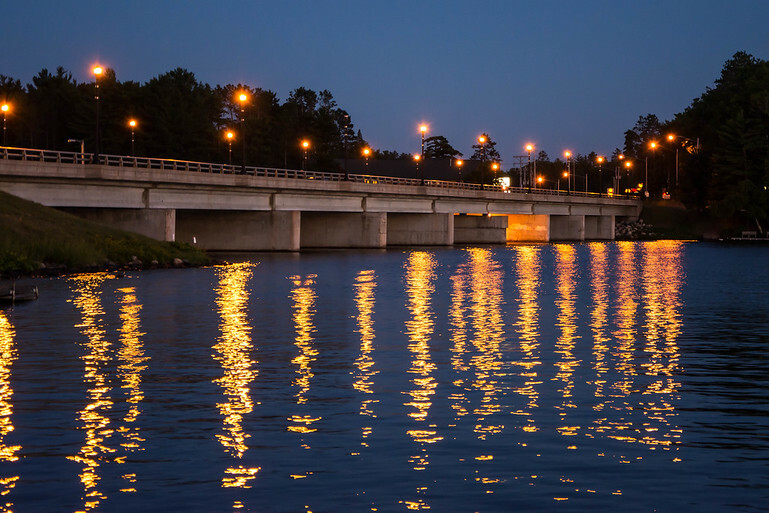 This is the Highway 51 bridge allowing access onto the island city of Minocqua, Wisconsin. This is the third bridge constructed here in my lifetime and I think the 6th overall. This photo is used by Yahoo’s weather app and was featured in Minocqua’s 2014 visitors guide. I just purchased my Nikon D7100 and did not really have a chance to use it. My wife and I were walking back from dinner and we stopped by a place called the The Boathouse on the way back to our hotel. While sitting on their dock, I set the ISO and snapped this photo (ISO 1000, f5, 1/8th sec). The shimmering light on the water really made the shot.